Paradevo's Devotee Stories: The Best Man: Now Available as an eBook! So a while ago, I was posting a story called The Best Man, about bride-to-be Kirby who becomes attracted to her fiance's best man John (a quadriplegic). I posted a bunch of parts, but I got stuck and eventually stopped writing. But because everyone was so encouraging, I promised I'd try to keep working on it and eventually finish it. Well, I finally finished it! 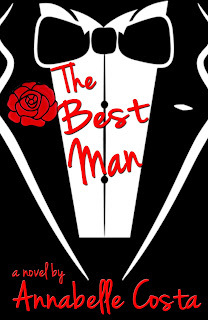 The Best Man is now available on Amazon! I spent a bunch of time editing it and also added a TON of devvy stuff at the beginning, so if you do buy it, please read from the very beginning. And hopefully, you will find the ending very satisfying. Just as a reminder, here is the original chapter 1. Annabelle, you're the best! Got the book immediately. I'm so happy to finish reading Kirby and Johns story. Got it! Thanks so much for publication. Lol, for me the best part of having a kindle is that I get to read whatever I want without being taunted by people in my house when they see the title. With this book, the cover and title and first chapter are all pretty harmless chick lit, at least. I'm so sorry to hear you feel that way about Amazon :( I'm intensely grateful to them, not just for giving me a platform to support me as a writer (twenty years ago, the idea of being able to publish books the way I do now would be unheard of). But as an avid reader, I love how easy it is for me to access books now, and how little I pay for them! Between the Kindle library and the low prices of ebooks, I probably spend less than $20/year on my reading habit. I love Amazon. Excellent story! I finally have closure with two of my favorite characters. Thanks for giving us such a terrific book. I am so glad that you finished and updated it, but I have to be honest, it feels like kind of a bait and switch. I have no problem buying books, or authors selling their material obviously, but to publish the story here, say that you weren't going to finish it, and then to come back and say that you did finish it, thanks to a lot of the feedback you got here, which is fantastic. And I'm glad that you finished it. But, that we can't read the rest of it unless we pay for it. It feels icky to me. I understand why you feel that way. Let me try to explain my reasoning. I really love publishing books. The money doesn't matter to me, but I take pride in publishing a polished work and having people buy it. It's, like, my lifelong dream, you know? Seeing the books on Amazon is a huge rush for me. There are tons of stories on here that never get finished. TONS. The Best Man probably would have been one of them. 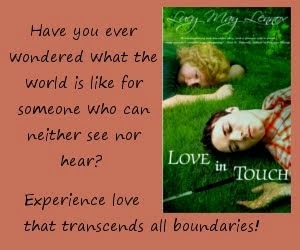 But the fact that people loved it *combined* with the enjoyment I get out of publishing was really what spurred me on. I really forced myself to finish it (not easy for something where I wasn't motivated) and then I painstakingly went through and edited the entire thing. I added a prologue and a ton of new scenes to the beginning that made me like the work better. I added a bunch of backstory for John that was absent from the first version. The stuff I post here is a rough first draft. I love getting feedback and comments and giving you guys something you really enjoy. But putting together a complete, polished book is a totally different beast. I wanted people to read the story as a whole, edited and fixed up, not just a hastily put together ending that I could have slapped together and posted just to make people happy. I hope this makes sense to you. As a writer, I get no bigger thrill than people enjoying a work that I'm proud of. When people buy something I've written (at a price that's less than my lunch today at McDonald's), that makes me really happy. And I do plan to discount the book to 99 cents in a few months (of which I get a whopping 30 cents!). If the months of effort I put into writing this isn't worth 99 cents, then I've also got tons of free stuff that I'm going to be posting. 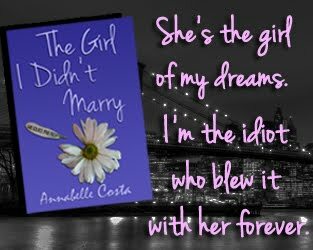 Annabelle, I want thank you so much for putting your work out into the world for us and I happily pay for your ebooks! I love having the opportunity to buy dev fiction, and yours is some of the very best. Please keep keeping on! Thanks! I appreciate the support! Honestly, I personally love reading works in one shot instead of weekly chapters, and if any of my favorite stories here became available for 2.99 on the Kindle instead of having to wait for it every week, I'd buy it in a heartbeat!